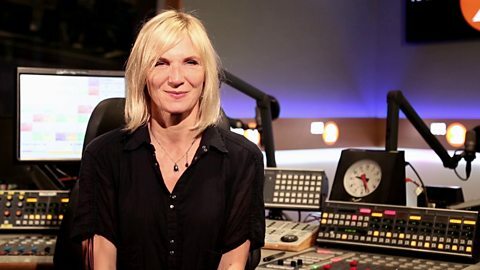 Wondering what the Jo Whiley Show is all about? Here's why Jo thinks you should join her. Jo was born in Northampton. After studying in Brighton and dabbling on BBC Radio Sussex's new music show, her first broadcasting job proper was as a presenter for WPFM, Radio 4's youth culture and music show. She then moved over into TV, initially on satellite, then to Channel 4 as band booker for The Word, giving Britain its first television taste of bands such as Nirvana and Rage Against The Machine. Jo joined Radio 1 in the Spring of 1993 and in September she became permanent co-presenter of The Evening Session with Steve Lamacq. Four years later she landed her own daytime show, and remained part of Radio 1's weekday line-up until 2009, when she began a new weekend programme. Jo has also presented coverage of the Glastonbury Festival on Radio 1, Channel 4 and BBC-TV, plus she's hosted several music programmes for Channel 4.